An Elite Gold Clarins Salon, Frontlinestyle is the only hair and beauty salon in the South West of England with this exclusive event as part of an ongoing schedule of Clarins Beauty and Skincare Events. We are offering clients personal sessions with one of Clarins’ very own coaching experts. With a wealth of experience and professional expertise, Clarins Coaches offer the best in know-how, with advice and tips for how you can get the best out of your skincare, body care and make up routine. 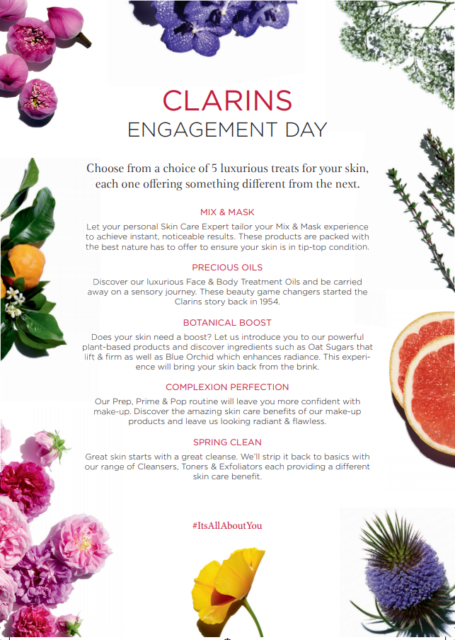 Make the most of this wonderful opportunity to discover our latest collection of wonderful Clarins products. Booking fee – £10 and redeemable against Clarins products purchased on the day of the appointment.